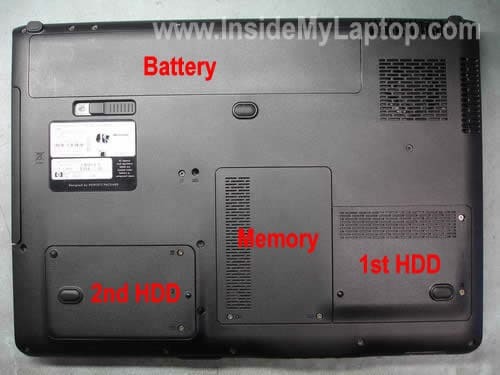 HP Pavilion dv9000 laptop. 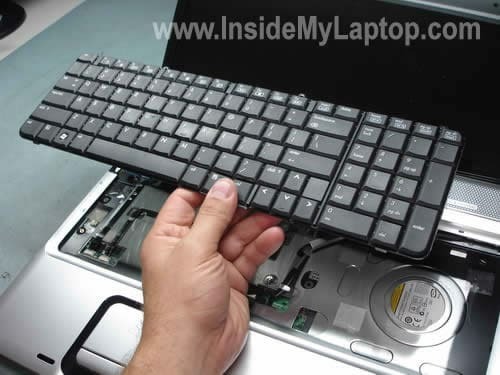 Removing hard drive, memory, wireless card, keyboard. First of all, remove the battery. 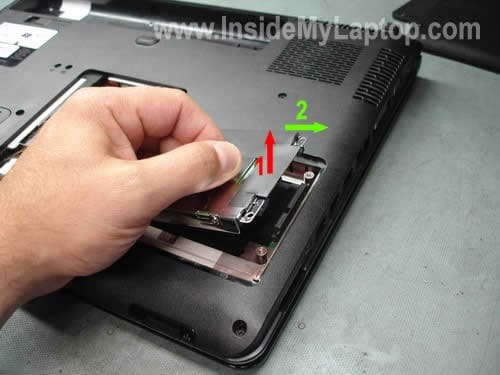 Remove screws from the 1st hard drive and memory covers. Remove both covers. 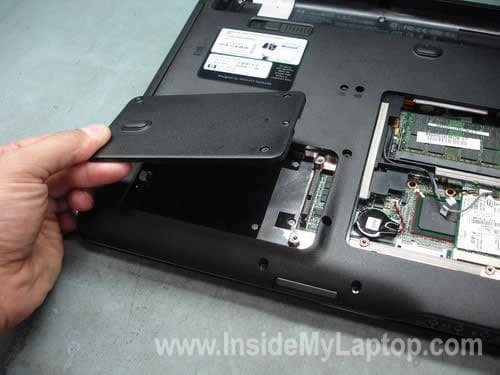 Some Pavilion dv9000 laptops have only one hard drive installed. As you see, in my case there is no second hard drive under the cover. 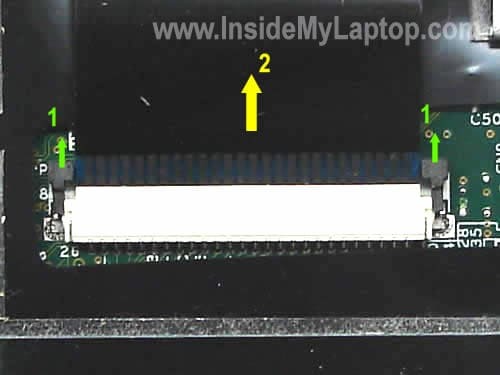 If you would like to install second hard drive into your notebook, you’ll have to purchase a new SATA drive, SATA connector and drive caddy. 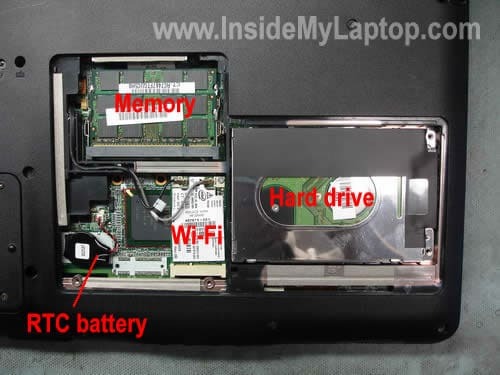 You’ll find step by step hard drive installation instructions in this guide. we will refer to all HP Pavilion dv9000, dv9000t, dv9100, dv9200, dv9300, dv9400, dv9500, dv9600 & dv9700 notebooks as the “dv9000″ since adding a hard disk drive (HDD) to all above mentioned notebooks are similar. 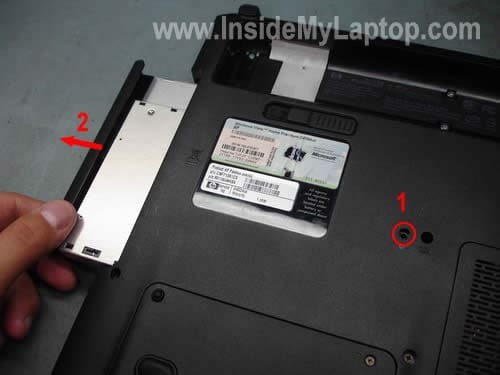 In order to remove the CD/DVD drive you’ll have to remove the securing screw (1) and then carefully pull the drive from the laptop. 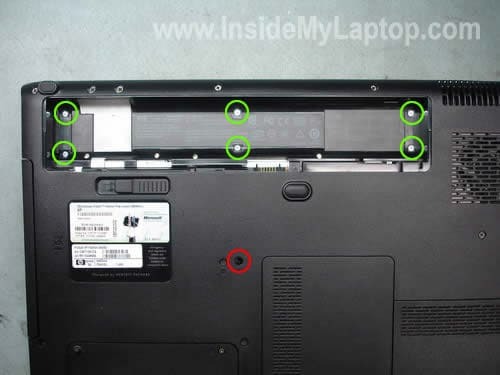 Remove six green screws securing the keyboard bezel and one red screw securing the keyboard. 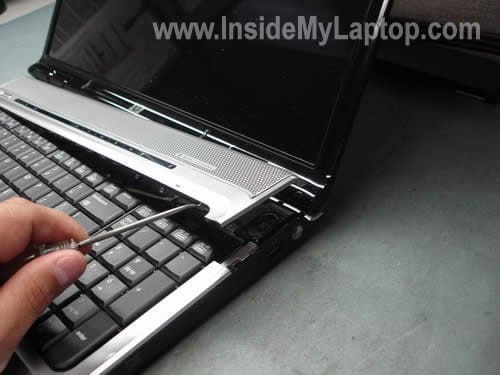 Carefully start removing the keyboard bezel with a small flathead screwdriver. 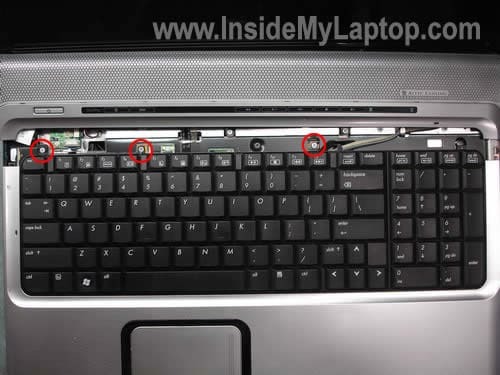 Remove three screws securing the laptop keyboard. In order to release the keyboard cable, you’ll have to unlock the connector as it shown on the picture above. 2. Pull the keyboard cable from the connector. 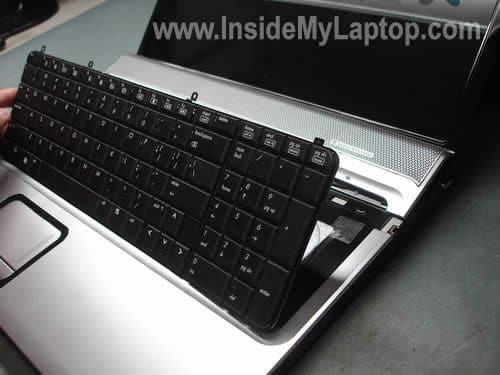 Now you can remove and replace the keyboard with a new one. 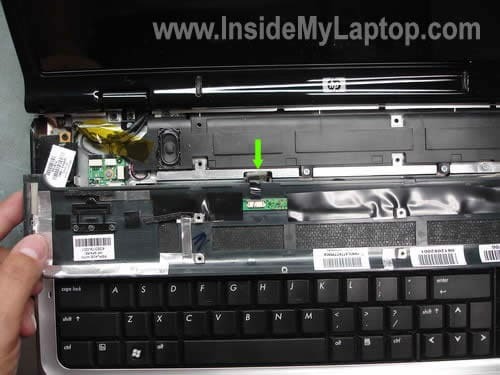 You’ll find more detailed laptop disassembly instructions in the official service manual for HP Pavilion dv9000 (3.72MB pdf file).